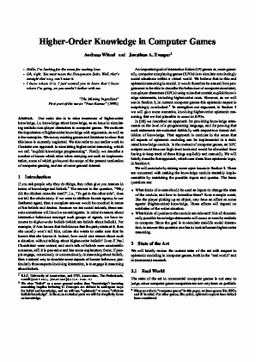 Witzel, S. A, & Zvesper, J.A. (2008). Higher-Order Knowledge in Computer Games. In Proceedings of the AISB 2008 Symposium on Logic and the Simulation of Interaction and Reasoning (pp. 68–72). The Society for the Study of Artificial Intelligence and Simulation of Behaviour.